Noel Field, the son of the zoologist, Herbert Haviland Field, was born in London on 23rd January, 1904. He had an English mother and an American father. (1) After her husband's death, his wife took the children back to the United States. Field attended Harvard University before joining the West European Division of the State Department. Field developed left-wing political opinions and associated with other government officials who shared a political outlook. 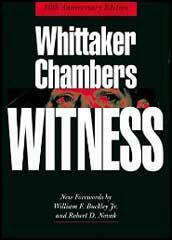 This included Harold Ware, Alger Hiss, Nathaniel Weyl, Laurence Duggan, Harry Dexter White, Nathan Witt, Marion Bachrach, Julian Wadleigh, Henry H. Collins, Lee Pressman and Victor Perlo. 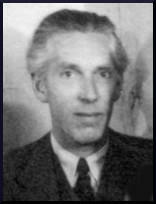 Peter Gutzeit, the Soviet Consulate in New York City, was also an officer in the NKVD. In 1934 he identified Noel Field and his friend, Laurence Duggan, as future Soviet spies. Gutzeit wrote on 3rd October, 1934, that Duggan "is interesting us because through him one will be able to find a way toward Noel Field... of the State Department's European Department with whom Duggan is friendly." (3) Iskhak Akhmerov decided that Boris Bazarov should be the one to work with Hede Massing on this project. On 26th April, 1936, Boris Bazarov reported back to Moscow: "The result has been that, in fact, Field and Hiss have been openly identified to Duggan. Apparently Duggan also understands clearly her (Hede Massing) nature... Helen Boyd (Duggan's wife), who was present at almost all of these meetings and conversations, is also undoubtedly briefed and now knows as much as Duggan himself... I think that after this story we should not speed up the cultivation of Duggan and his wife. Apparently, besides us, the persistent Hiss will continue his initiative in this direction. In a day or two, Duggan's wife will come to New York, where she (Hede Massing) will have a friendly meeting with her. At Field's departure from Washington, Helen expressed a great wish to meet her again. Perhaps Helen will tell her about her husband's feelings." (7) Headquarters instructed Bazarov to be certain that none of his agents undertook similar meetings across jurisdictional boundaries without your knowledge". Bazarov was particularly concerned about the behaviour of Hede "knowing that her drawbacks include impetuousness". In 1938 Field became a League of Nations representative in Spain. He therefore became involved in the Spanish Civil War and helped to aid victims of the conflict and was involved in the repatriation of members of the International Brigades. They also took care of Erica Glaser, who became separated from her parents. They took her back to their home in Switzerland. Hede Massing asked Vassili Zarubin if they could have an exit visa so that they could leave the Soviet Union. He said that he did not have the authority to do that. A few days later he arranged a meeting with Nikolai Yezhov, the head of the NKVD. Zarubin warned her: "Hede, be careful when you talk to this man; don't tell him what you said to me, but tell him that you want to go out-and don't stress the point that you want to leave our service. He knows that. He is very important." "The meeting took place in the Sloutski apartment, the same one where I had been at our first party. When we arrived, the important man was not yet there. There was an atmosphere of expectation. There was no vodka, as was usual before meetings. We sat and waited. There was not even flippant conversation. Finally he arrived. He, too, was in uniform. Though he had little glitter, still it was obvious that he was of a higher rank than my two companions. He was a man of about thirty-five, a Georgian, and fairly good looking in a foreign kind of way; to me, from the very first second, he was despicable. He took a seat on the other side of the room from me, crossed his legs, pulled out a heavy gold tabatiere, slowly tapped a cigarette on it - scrutinizing me throughout the process. Then he said in Russian what amounted to, Let her talk." Hede and Paul Massing appeared to have no chance now of getting an exit visa. Boris Bazarov, who was back in Moscow, was unable to help. Soon afterwards they met Noel Field who was also visiting the country. She decided to use this opportunity to get out of the Soviet Union. She telephoned Bazarov and told him: "When I had been connected and heard his answer at the other end of the wire, I said in a loud and clear voice, 'Boris, I have been asking you for our exit visas long enough! We have guests, Herta and Noel Field. I want them to be witness to my request. I am asking you for our exit visas for the last time... I should like to have our passports with the visas today. If we do not get them today, I shall have to make use of my rights as an American citizen. I will then go with my friends, the Fields, to the American Legation to ask for help.' I hung up. I was shaking." Several hours later there was a knock on the door. It was Bazarov and in his hand he held a large envelope. "Here are your passports and the visas and a slip for Intourist, with which you can pick up your tickets tomorrow morning. We have made reservations for you on the evening train, via Leningrad." Hede Massing later recalled: "No further comment. He left. I held the envelope out to Paul. All strength had left me, I could not have opened it. It was true. It was really true. We could leave!" (16) Soon afterwards Bazarov was executed. 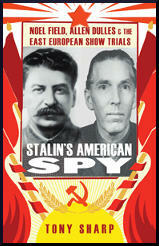 It has been claimed by the authors of Stalin's Secret Agents: The Subversion of Roosevelt's Government (2012) the list included Noel Field, Joszef Peter, Harold Ware, Alger Hiss, Nathaniel Weyl, Laurence Duggan, Lauchlin Currie, Donald Hiss, Noel Field, Harry Dexter White, Nathan Witt, Marion Bachrach, Julian Wadleigh, John Abt, Henry H. Collins, Lee Pressman and Victor Perlo. 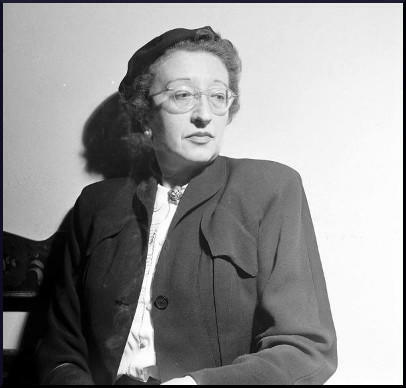 (18) Berle, who was in effect the president's Director of Homeland Security, raised the issue with President Franklin D. Roosevelt, "who profanely dismissed it as nonsense." However, in 1943, the FBI received a copy of Berle's memorandum. 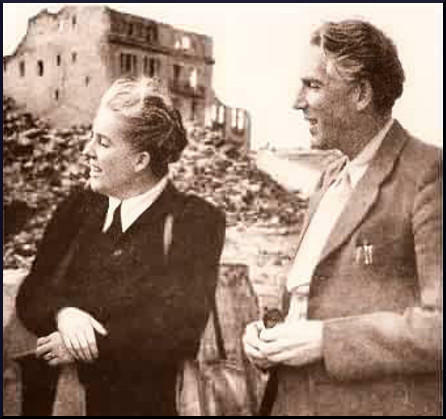 In 1941 Field became director of the American Unitarian Universalist Service Committee's relief mission in Marseilles. In this role he helped Jewish refugees to escape to Switzerland. Field also collaborated with the Organization to Save the Children (OSE), in an effort to get Jewish children released from French internment camps. Field also worked closely with the Office of Strategic Services (OSS). When the German Army occupied the south of France in November 1942, the Fields returned to Geneva. Noel and Herta Field in Warsaw after the war. Herta reported her husband missing to the Czech authorities. She was arrested and taken to Budapest to join Noel Field. He had in fact been arrested on the orders of Lavrenti Beria. It was claimed that he had been spying on behalf the United States. Field was tortured and held in solitary confinement for five years. (24) In East Germany, in August 1950, six members of the Communist Party were arrested and accused of "special connections with Noel Field, the American spy." Field was also named as a spy in the trial of Rudolf Slansky, the Secretary General of the Communist Party, and 13 other officials. Slansky was executed on 2nd December, 1952. Herta and Noel Field were released in October 1954. (27) They decided not to return to the United States and live in Budapest. He defended his captors with the words: "My accusers essentially have the same convictions that I do, they hate the same things and the same people I hate - the conscious enemies of socialism, the fascists, the renegades, the traitors. Given their belief in my guilt, I cannot blame them. I cannot but approve their detestation. That is the real horror of it all." In 1956 he defended the Soviet suppression of the Hungarian Uprising. Noel Field died on 12th September, 1970. But two other contacts, who at first were unwittingly part of the same campaign, yielded surprising results, though not those intended. From my first day in Washington, I had heard the name of Laurence Duggan as a likely underground recruit. 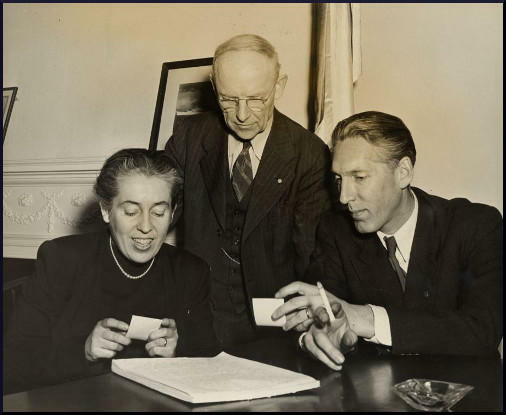 I also heard constant rumors about Duggan's great friend, Noel Field, a Harvard man and Quaker of good family who was in what was then the West European Division of the State Department. The Fields and the Duggans lived in the same apartment house. Hiss began an intensive campaign to recruit Field and Duggan. He reached the point of talking very openly to Noel Field. I was afraid to ask just how openly they were talking, for I might have been tempted to urge caution, and in such delicate negotiations much must be left to the tact of the negotiator, in this case Alger Hiss. Too much supervision or advice may lead to disaster, or at least to an awkward situation. I was soon to learn just how far the two young State Department men had gone. One night Alger reported to me that Noel Field claimed to be connected with "another apparatus." "Is it possible?" Alger asked me in surprise. "Can there be another apparatus working in Washington?" I told him that it was quite possible, that it was probably a parallel apparatus. I asked Peters what he knew about it. "It is probably the apparatus of Hede Gumperz (Hede Massing)," he said. I had never heard of Hede Gumperz. I asked who she was. "Oh, you know," said Peters - a stock answer when no more will be said. Peters urged me to let Noel Field alone. But Algei s spirit was up. He was determined to recruit Noel Field. At the second Hiss trial, Hede Massing testified how Noel Field arranged a supper at his house, where Alger Hiss and she could meet and discuss which of them was to enlist him. Noel Field went to Hede Massing. But the Hisses continued to see Noel Field socially until he left the State Department to accept a position with the League of Nations at Geneva, Switzerland - a post that served him as a "cover' for his underground work until he found an even better one as dispenser of Unitarian relief abroad. At the time, I had wondered why the parallel apparatus would let Noel Field leave the State Department. It was General Walter Krivitsky who first told me that Noel Field had left the State Department on orders from his apparatus to work for Krivitsky. who was then chief of Soviet Military Intelligence in Western Europe. During the Hiss Case, Noel Field, his wife, his adopted daughter and his brother all disappeared into Soviet-controlled Europe. From that, I infer that they had knowledge about Alger Hiss and others that made it inadvisable to leave the Fields in any part of Europe or the United States where American officials or subpoenas could reach them. In 1939 I gave to the security officer of the State Department, A. A. Berle, the name of Laurence Duggan as someone whom I believed, though I was not certain, to be connected with a Soviet apparatus. Duggan was then, or shortly afterwards, the chief of the Latin American Division of the State Department. My belief was based upon two incidents. When Noel Field left for Europe, Alger Hiss asked him if he would not use his great influence with Duggan to recruit him into the special apparatus. Noel Field replied that, since he was going away, "Duggan would take his place." Hiss and I both assumed, therefore, that Duggan was working with the Massing apparatus. Hede Massing has told the facts, in so far as she knows them, in This Deception. In 1937, Colonel Boris Bykov decided that we should again make an attempt to recruit Duggan. From Peters I had learned that Frederick Vanderbilt Field (recently in and out of court and jail in New York in connection with bail for some of the convicted Communist leaders) was also a great friend of Duggan. For the express purpose of recruiting Duggan, J. Peters introduced me to Fred Field in New York. The great-grandson of Commodore Vanderbilt took me to lunch, appropriately at the Vanderbilt Hotel, and I watched with some amusement the casual way in which my millionaire comrade signed the chit. He went to Washington the next day and met Laurence Duggan. When he returned to New York, Fred Field told me that he had asked Duggan perfectly openly to work for the special apparatus, and Duggan had replied that he was "connected with another apparatus." Duggan's fatal fall from his New York office window during the Hiss Case troubled me deeply. 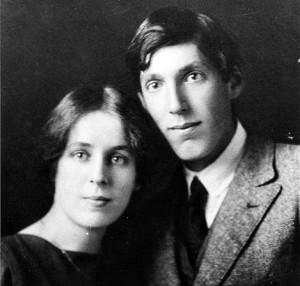 I had a strange sense of knowing the Duggans, whom I had never seen. For the Hisses talked frequently about Helen Duggan, Laurence Duggan's wife. Later on, by a curious chance, I was to meet her father and brother.